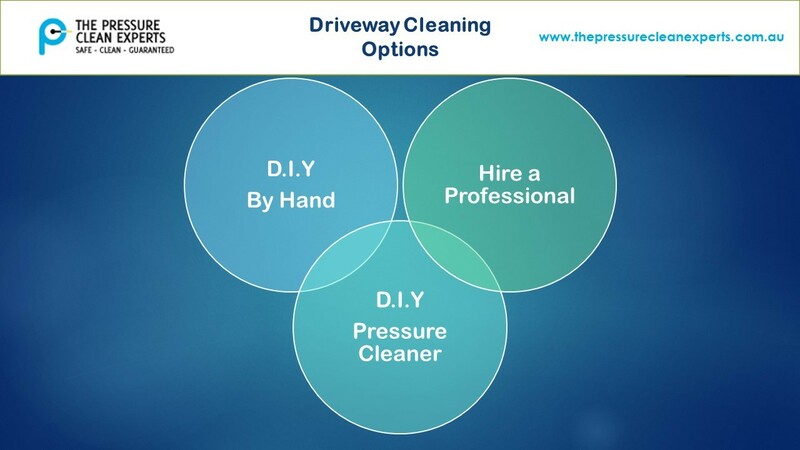 Driveway Cleaning – What Are Your Options? What Are Your Options For Cleaning Your Driveway? Cleaning: Some of us love it and some of us hate it! However, it is one of those things in life that comes with home ownership. Luckily, we are here to help! Our expert team have some options below to assist you with cleaning your driveway. Keeping your driveway clean can do a lot for the street appeal of your house, even if it’s not for sale. A neat, spotless driveway stands out and contributes to the overall appearance of your home:something of which to be proud. If your driveway is dirty, with dirt, mud or mould build up, here are some options. 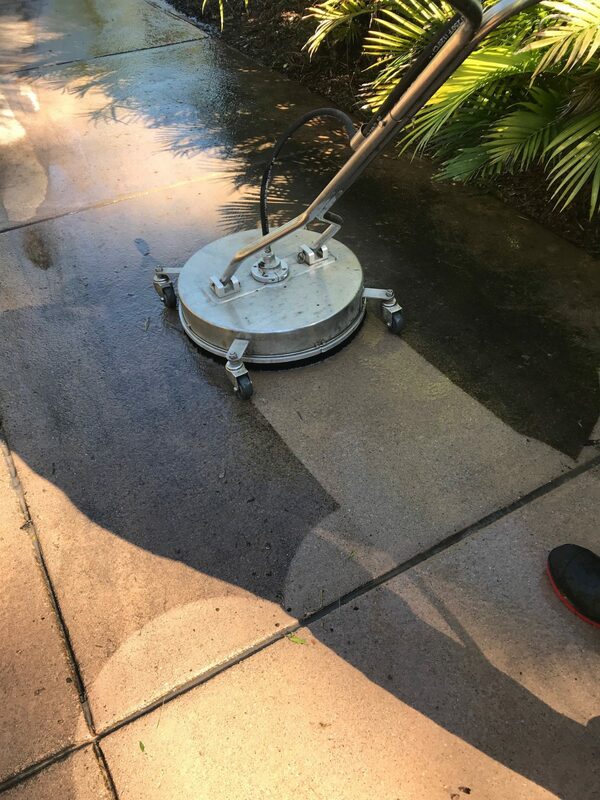 Getting started, you’ll need to sweep away any surface dirt off the driveway and lay down sawdust or kitty litter on any oil or grease stains for at least 12-24 hours, to absorb it out of the concrete. You’ll then need to hose the driveway down before dissolving degreaser in a bucket of hot water and using the solution to scrub every inch with a deck brush and rinse with the hose once done. 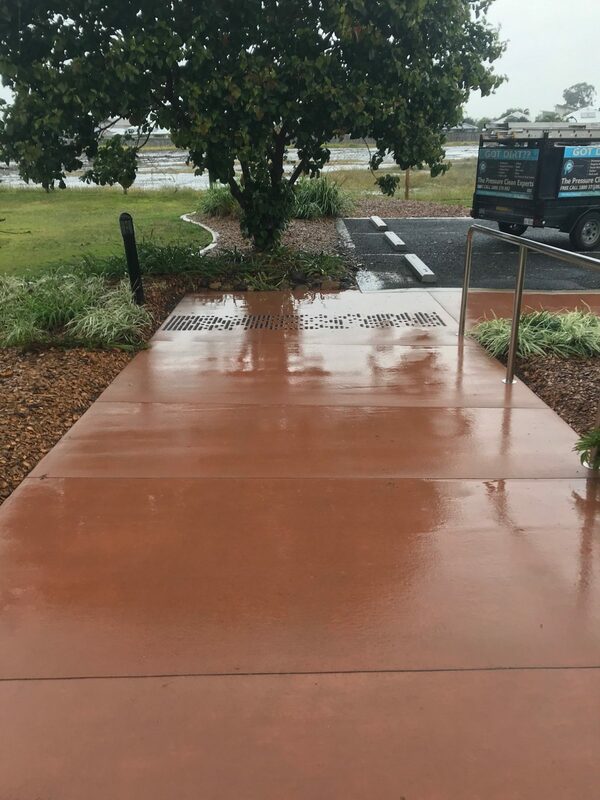 While this method is the most cost effective, it requires plenty of time and hard manual work to get a perfectly clean driveway and it only needs to be done, at most, twice a year. Option 2. Hire a Pressure Cleaner and do it yourself. For many this sounds like a sensible and cheap option.This takes out some of the manual work and time of the first option but instead requires knowledge of the cleaner and how to use it. Being a complex machine with many different options, if you are going to operate one yourself it is vital that you know what pressure to use, what chemicals to use and what nozzle to use so that you don’t destroy your driveway or any other part of your property. A professional will have the correct equipment and knowledge of how to use it all appropriately. 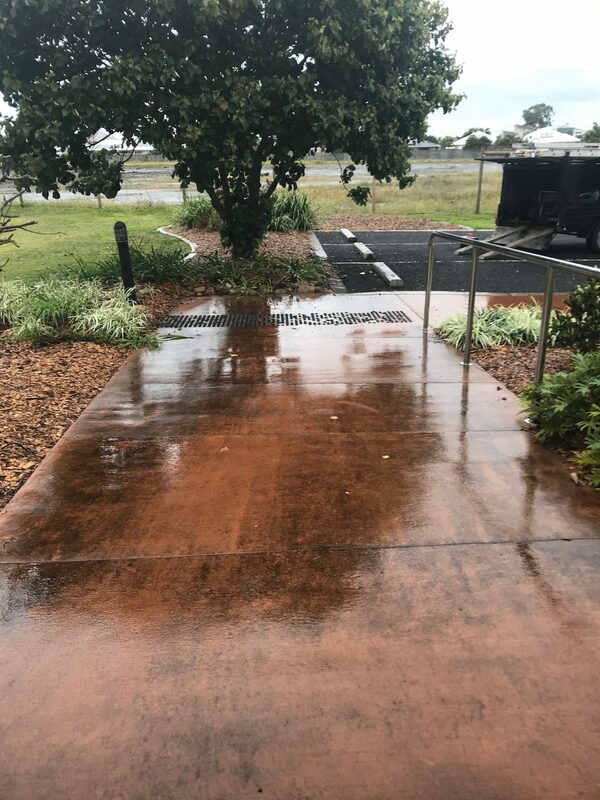 They will do it in as timely manner and they have the proper chemicals and know how to use them to get your driveway looking as good as new. The time and labour of the first two options is eliminated here, making your life much easier. While cleaning it yourself with soap and water or with a cleaner is somewhat cost effective, it also takes up a lot of time and requires hard work. For the average home-owner, hiring a professional pressure cleaner, while costing more, would be the safest quickest and easiest method. You only need to get a quote and watch as your driveway become sparkling clean in front of you. A professionally completed driveway clean also lasts longer than most DIY jobs. Make your life that bit easier and let us take care of the dirty work for you – Contact us today.